The double B trailer is a Canadian invention, also known as a B Train. A B double trailer is a combination of a prime mover and two semi-trailers, attached with a fifth wheel coupling. The double B trailers were introduced in Australia in the early 1980s, and since 1990s they are the most common vehicles for freight transportation. Today, these trailers are widely used for safe and efficient transportation in Australia, but within a limited road network. However, the road network access of the double B trailers is expanded significantly, and today they travel on a wide route network which is approved and especially designed for them. The B double trailers have an access to all major cities. They are allowed to travel only on routes and under conditions approved by the Australian Department for Transport, which the operators can check online. The Australian freight industry changed the name B trains to double B trailers in order to eliminate the potential confusion with the road trains. These transportation vehicles have contributed greatly to the growth in the road freight industry. These days, the double B trailers along with the six-axle articulated trucks handle over 70% of all road freights. The future prospect of the freight industry depends on the B doubles to a great extent, as these heavy-duty vehicles are expected to handle even bigger share of the road freights. The double B trailers are expected to transport over 50% of the total road freight loads by 2030. Even today, an increasing number of companies decide to buy or rent double B trailers for their freight loads, since they offer many advantages. Compared to other transportation vehicles, the B-doubles are far more safe and stable, since they use routes especially designed for them. Another great benefit of using a double B trailer is the cost-efficiency. As mentioned above, the B trailer can transport large loads in the most cost-efficient manner. For example, when one customer needs to deliver few loads over a long distance, the B-double transportation company will accommodate loads from more customers that need their loads to be delivered on the same location. This significantly reduces the final costs. 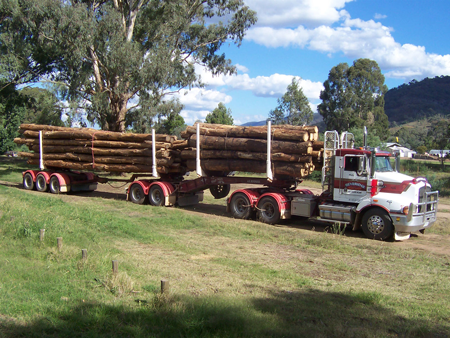 It is safe to say that the double B trailers have a significant impact on the transportation industry in Australia. They ensure great cost-efficiency, increased safety of the road freights and greater accessibility.